Those rather plain mystery seeds from last week grow into a plant with spectacular flowers. 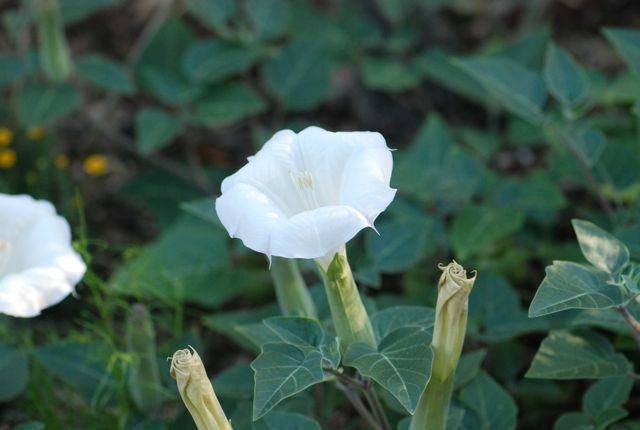 The Datura (also called jimsom weed and other common names) grows wild here in Arizona. You can often see it along the roadsides. 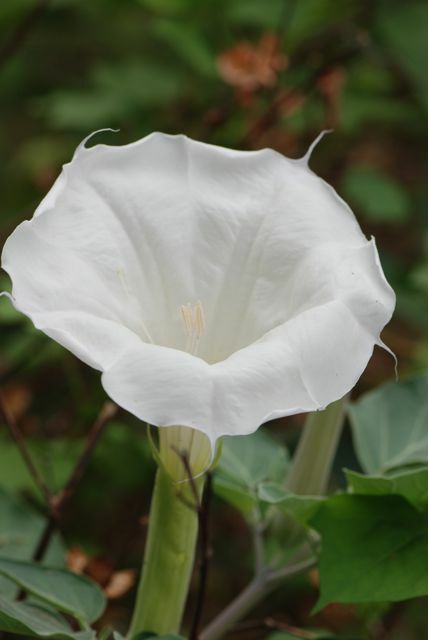 Although beautiful, Datura plants are members of the nightshade family, and contain poisonous chemicals. 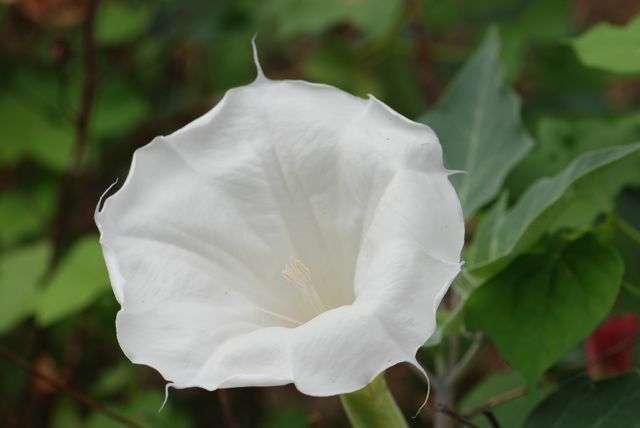 The gorgeous white, tubular flowers are open mostly at night. Does this give you any ideas as to what might pollinate it?